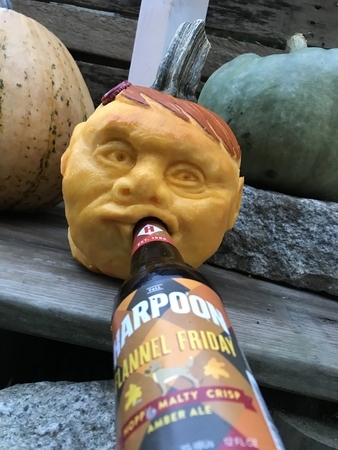 This pumpkin's taste in beer is as good as his taste in hats. I wish I could pull off the sideways bottlecap beret. I also wish I could drink beer while I was carving pumpkins. But they took my chainsaw away last time I tried to do that. Oops.